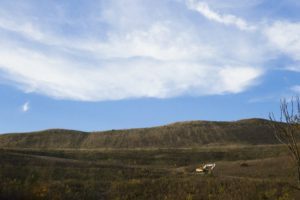 Economic recommendations for Appalachia unveiled by a nonprofit and four U.S. senators this week could benefit the whole of rural America, if they garner a champion. The Appalachian region includes all of West Virginia and portions of 12 more states, spanning from upper Mississippi to lower New York. It’s generally an area that’s coping with multiple and nuanced economic and cultural issues including shifting workforce priorities and the opioid epidemic. In May the nonprofit Bipartisan Policy Center began work with U.S. Sens. Mark Warner (D-VA), David Perdue (R-GA), Joe Manchin (D-WV) and Thom Tillis (R-NC) to establish a task force to develop recommendations for overcoming economic strife and isolation in four topic areas: education and workforce, entrepreneurship and job creation, energy and infrastructure, and rural health. • Empower local leaders to build education and workforce development strategies and programs aligned to regional economies, job creation and economic opportunity. • Allow non-traditional students to access Pell Grants. • Include virtual learning in federal grant programs. • Capture innovative ideas and build connections through public or private “domestic study abroad” programs. • Offer tax credits to companies that “upskill” existing workers. • Restructure financial regulation to provide more flexibility to community banks. • Establish a U.S. Senate task force on intergovernmental affairs, similar to what the U.S. House has established. • Expand federal policies that make workforce-related public-private partnerships easier. • Identify business barriers to existing workforce programs. • Use natural resources to attract and expand value-added manufacturing. • Explore domestic extraction of rare earth elements from coal byproducts. • Expand carbon capture, utilization and storage technologies. • Complete the highway system. • Business groups and public health should combine forces to improve local health outcomes. • Expand and require opioid training for health care professionals. • Rely on evidence-based policies to connect consumers with affordable, healthy food. • Promote policies and initiatives to promote lifelong dental hygiene. • Support telemedicine and remote patient monitoring. A few recommendations are specific, but this mostly reads like the lists a multitude of rural task forces have developed. The key, in Appalachia and in rural Iowa, is that everything is interconnected. Researchers can’t tackle brain drain without addressing quality of life issues, like food deserts. And what fits well in one community, doesn’t guarantee success in all communities. Kudos to this group for putting it all in writing, but documentation has never been the issue. Like most big societal ills, poverty and isolation in rural America requires a working plan of action and champions of the big picture. Without those two things we’ll continue to get what we have now: reactionary public policy that may alleviate an immediate symptom, but never provides a cure.